I created these cookies in honor of my dad, and first made them for Father's Day. My dad has never been a big dessert guy, but has always been a fan of oatmeal raisin cookies. I'd have to agree with him... that oatmeal texture always gives such a soft, chewy bite to a cookie... So, I decided to find a way to mimic that "oatmeal element"~ but in a Paleo friendly way (gluten & grain free). 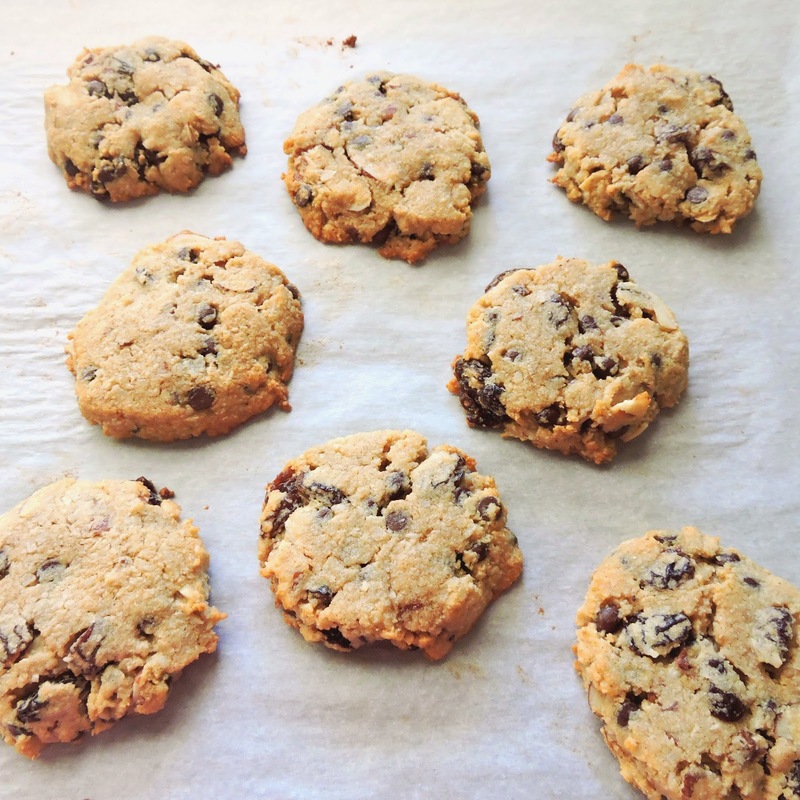 These cookies have the perfect soft/chewy texture that every good oatmeal cookie should. I swapped out the oats for shredded unsweetened coconut, and added some trail mix-inspired ingredients (chocolate, nuts, raisins) to boost the flavor. The addition of cinnamon & nutmeg really pushes these cookies over the edge, and gives them a warm, sweet flavor that is perfectly balanced by the sea salt. Combine the softened butter, egg, maple syrup, and vanilla in a large mixing bowl, until smooth. In a medium bowl, mix the dry ingredients with your mix-ins (sliced almonds, coconut, raisins, chocolate chips), until combined. Add the dry ingredients to the wet ingredients until all of the flour is mixed in. 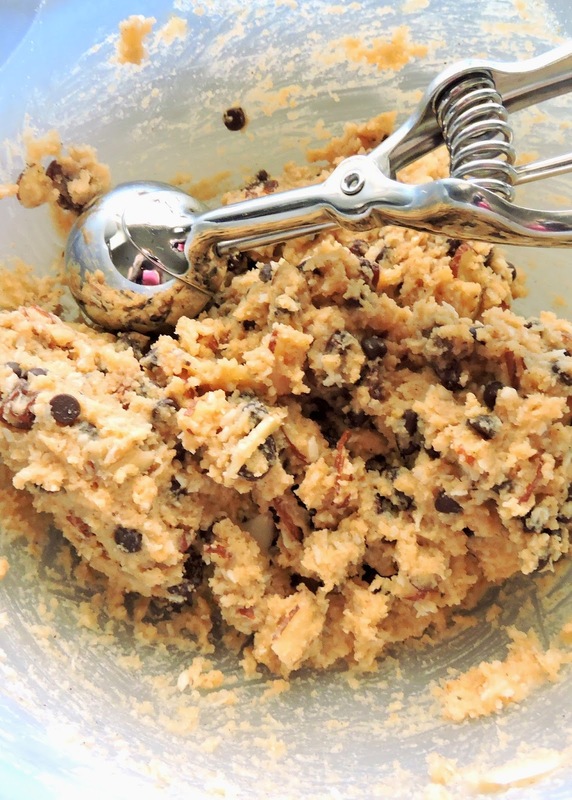 Scoop your cookie dough onto a baking sheet lined with parchment paper, using an ice cream scoop. 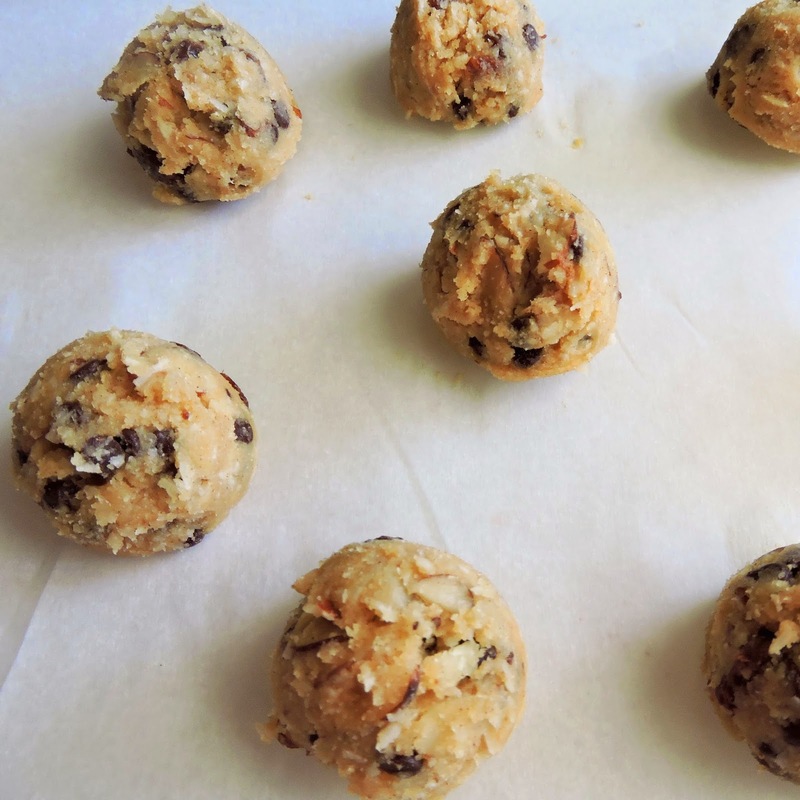 Flatten each cookie dough ball to about 1/4" thick. Jess!!! I died and went to heaven with these cookies!! 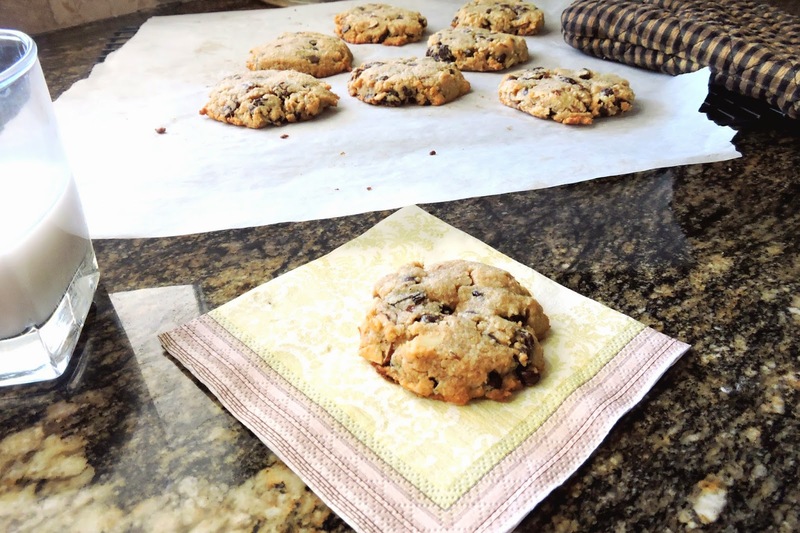 I got an oatmeal cookie taste from these which was incredible!! You nailed it with these!! Thank you sooo much!! Now I don't feel so guilty!! :D Thank you for the GREAT feedback Molly! 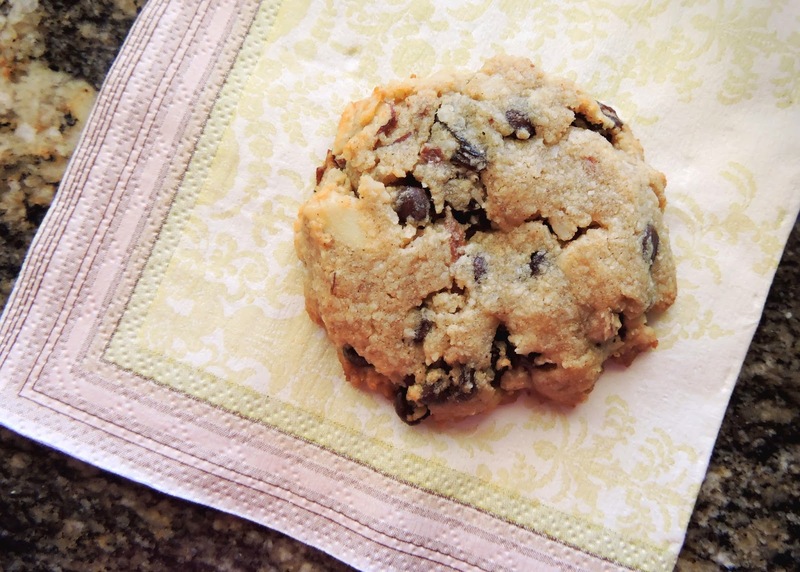 I love the texture of this cookie~ so glad you did too! Jessie I have fallen in love with the combination of flavors in these cookies. 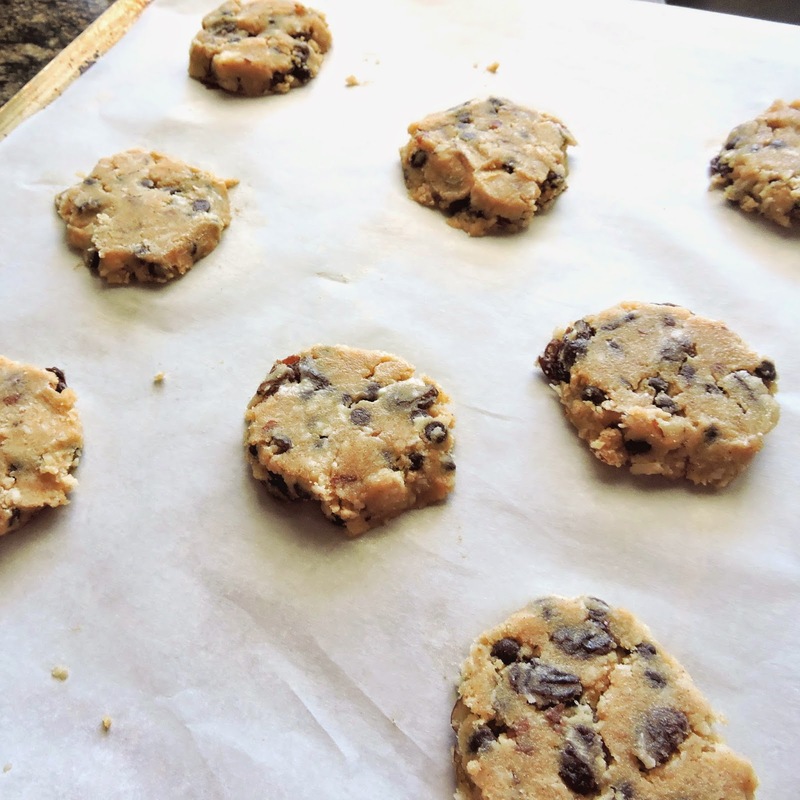 They are hard to resist and are so much better than the traditional cookies. Thanks do much!